Avalokiteśvara ("Lord who looks down") is a bodhisattva who embodies the compassion of all Buddhas. Portrayed as either male or female, Avalokiteśvara is one of the more widely revered bodhisattvas and in Sanskrit, Avalokitesvara is also referred to as Padmapāni ("Holder of the Lotus"). Avalokiteśvara is a buddha, one of the highest ranking spiritual beings in spirit-heaven but because of his vow to remain accesible to us here on earth, assisting us in times of difficulty, so he has to refuse his place in heavenand Buddhahood, and exist in this plane as a bodhisattva. He is known for six qualities: Great compassion, Great loving-kindness, Lion-courage, Universal light, a leader of devas and human beings and as the great omnipresent Brahman. Come visit our Avalokiteśvara at Earth and Images, where contemplates you taking home to your own personal Nirvana. Standing a little over three feet, he is made of carved wood with a polychrome finish, holding the universal pearl of wisdom with his symbol, The Lotus flower perched in his crown. Ginger Jars were originally used by the Chinese culture to carry salt, spices and oils and some were designated as gifts for the Emperor or given as gifts to foreign diplomats. 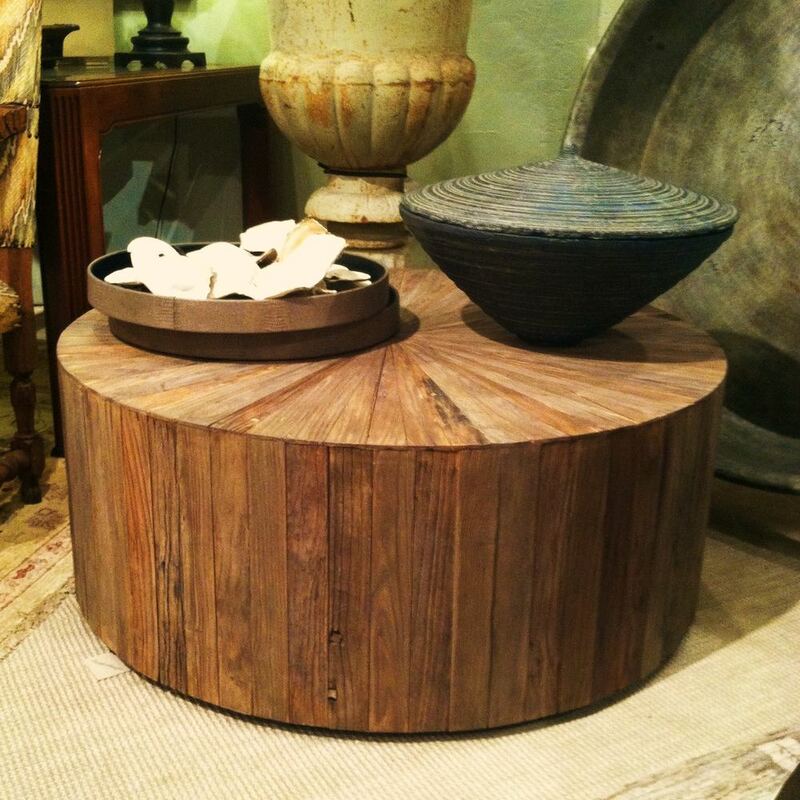 Today, they are used as statement accessory pieces and some are wired to become graceful lamps. Unlike its Asian counterpart, this exquisite ginger jar was beautifully and flawlessly handcrafted in Arizona. The difficult technique of creating incised patterns in the clay and interesting variations in its glaze make it one of a kind. 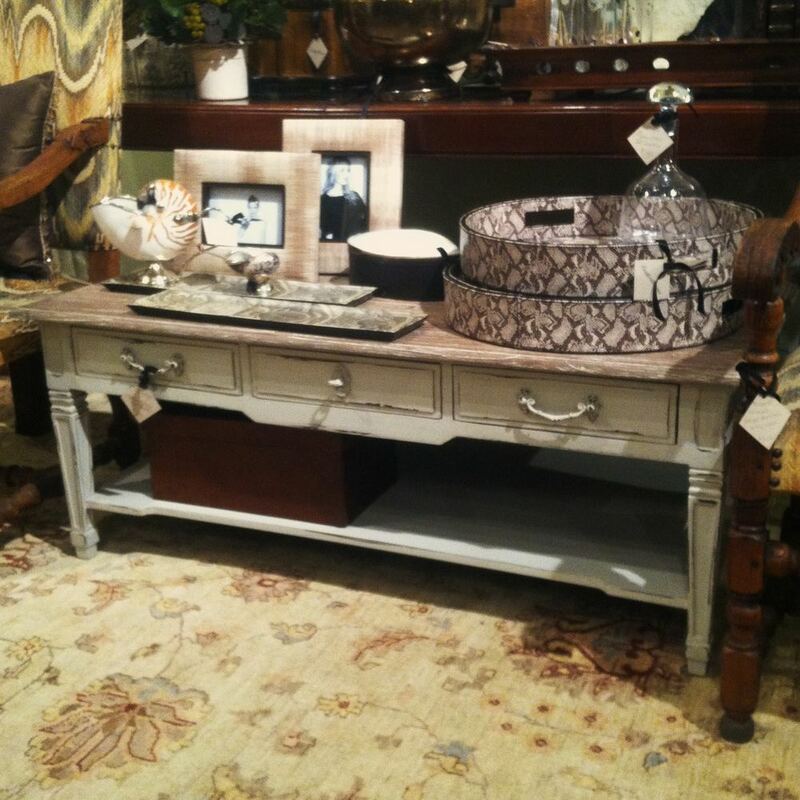 This piece was so unique it caught the sharp eye of an editor from one of our premier home decorating magazines and was featured in a recent issue. 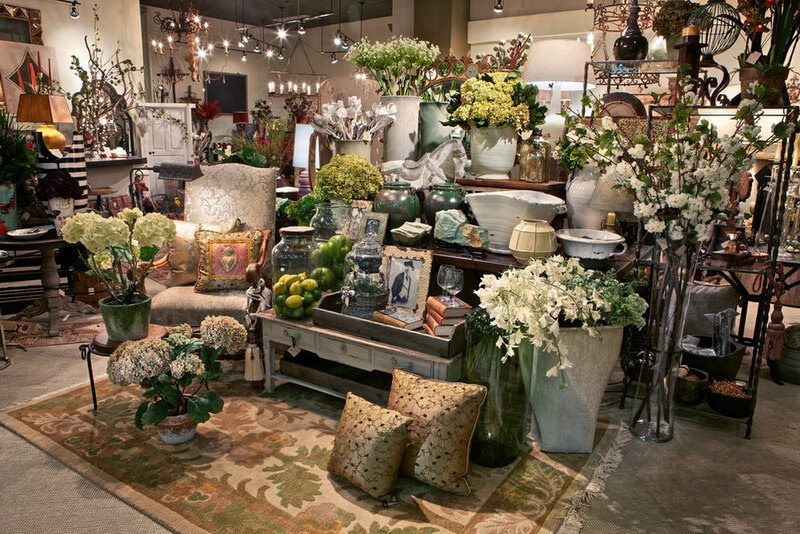 Come see and experience it at our showroom, you will be amazed! We absolutely love working with customers on custom bedding projects! We find nothing more fun than layering on different textures and making each bedding project unique. And by the way, we do windows too! Whether you prefer a bed crown, corona, open canopy, or a beautifully upholstered headboard to make you snuggle in and get some zzzz's, don't forget the details! 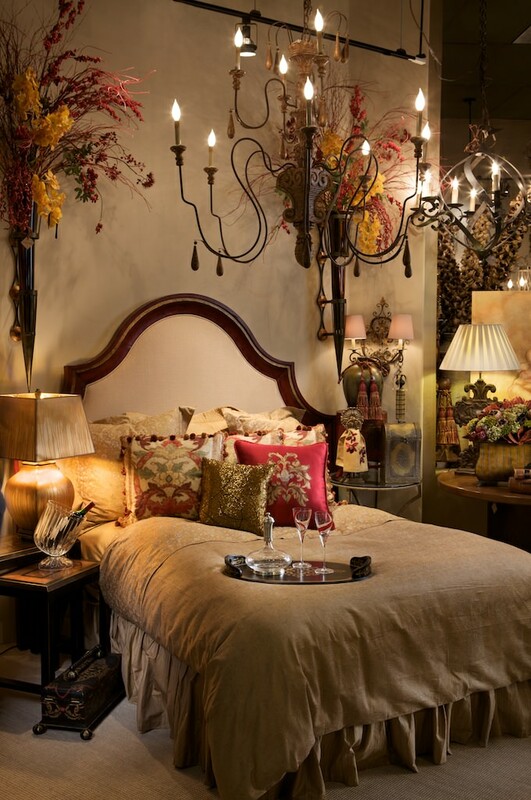 Tufting, shirring, poufs, and rosettes all add those special touches that make one feel pampered and cozy. Have it made up in a palette that soothes and refreshes you and you'll be Zen in no time. Sweet dreams! Well, I could just go on and on about you...and all of the reasons you have won my heart, which now thumps every beat with love for you. 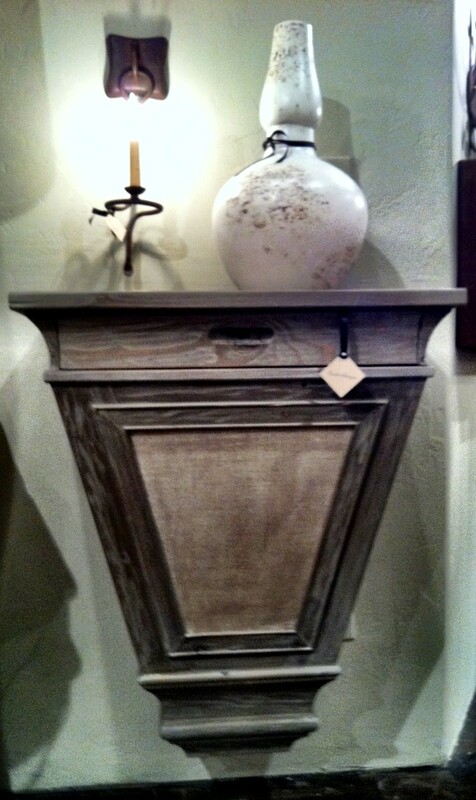 Love the slightly distressed feel combined with the classic lines of this new furniture we have at the studio. It's fresh, upbeat, and well-priced!